Carbon, diamond and high frequency. Here at clear skin we know the technicians will literally erase wrinkles, shrink pores, improve skin tone and revitalise dull skin with the help of a diamond head dermabrasion machine. The machine sprinkles tiny micro crystals onto the face with single strokes that gently remove the damaged outer layer of the skin and reveal brighter, healthier and flawless-looking skin. Microdermation can used for a full body scrub, which will revitalise the full body giving you a much fresher, smoother, and revitalise the dull skin which you can benefit before a party or a wedding. These devices/machines generate an electrical current that has a gentle and safe, oscillating oxygenating power. This high rate of oscillation produces heat and tones the skin. It is used in beauty salons and spas to oxygenate and tone the skin, leaving it relaxed and rejuvenated. It is beneficial for the skin’s complexion because it cleanses, increases blood circulation, hydrates and tones, improving its overall appearance. 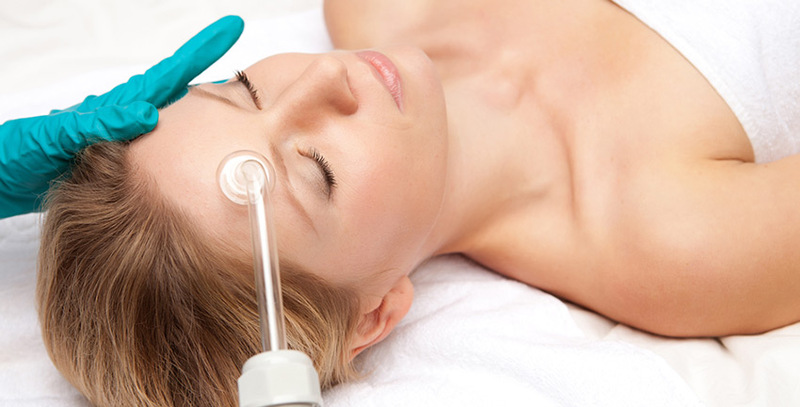 These machines are considered a totally safe, gentle and non-intrusive tool in the treatment of acne and in skin repair and reconstruction because of the holistic electric current generating oscillation. These have been credited with clearing acne, erasing fine lines and wrinkles, tightening the eye muscles to eliminate the puffy look, tighten sagging skin and improving the scalp health to grow more hair. Additionally, they exfoliate dead skin, assist in absorption of skin-care products and account for better lymphatic drainage. Consequently, the dark eye circles fade away, making the eyes look brighter, fresher and more youthful. Mini lift mask is an intensive hydrating and lifting mask, which is clinically proven to reduce wrinkle depth by 26% and 40% reduction of wrinkles overall.